Max Alvis was the Indians’ regular 3rd baseman from 1963 to 1968, then shared the job with utilityman Lou Klimchock in 1969. 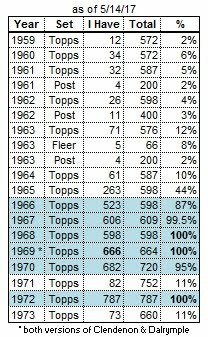 I was going to start off this post saying "With the steep decline in Leon Wagner’s and Rocky Colavito’s home run totals in 1967, Alvis became the lead slugger for the Tribe." Today I see that this was only for 1967, as the next year Max also caught the disease. 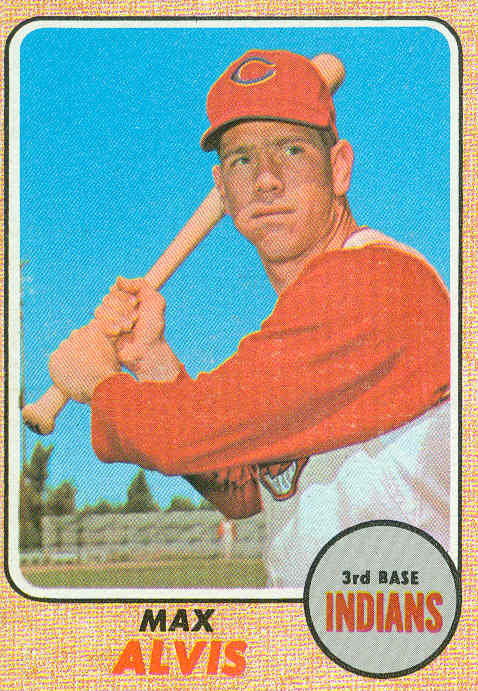 After averaging 20 homers per season from ‘63 to ‘67, he hit only 8 in 1968, and 1 in limited duty in 1969. Alvis was signed by Cleveland in 1958, and made his major-league debut in September 1962 by starting 12 of the final 16 games at third base. Max was installed as the team’s regular 3rd baseman at the start of 1963, replacing the veteran Bubba Phillips. 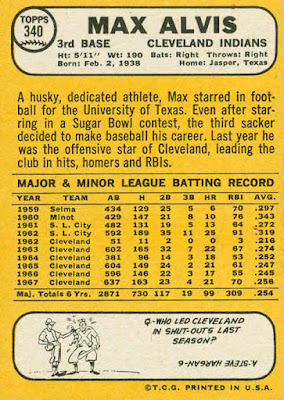 Max started 158 games as a rookie and hit 22 homers. He was a steady performer for his first 5 full seasons, hitting between 17 and 22 home runs, and made 2 All-Star teams during that time. He missed 6 weeks in 1964 with spinal meningitis, but still hit 18 homers in only 380 at-bats. He returned to full-time status in 1965, and played 155+ games in each of the next 3 seasons. As mentioned at the top, he lead the Indians in 1967 with 21 homers, and made his 2nd All-Star team. 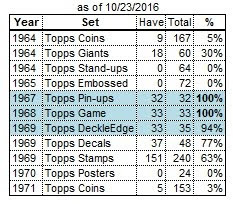 In 1968, Alvis’ homers (8) and batting average (.223) fell off drastically, and was out of the starting lineup for much of July. 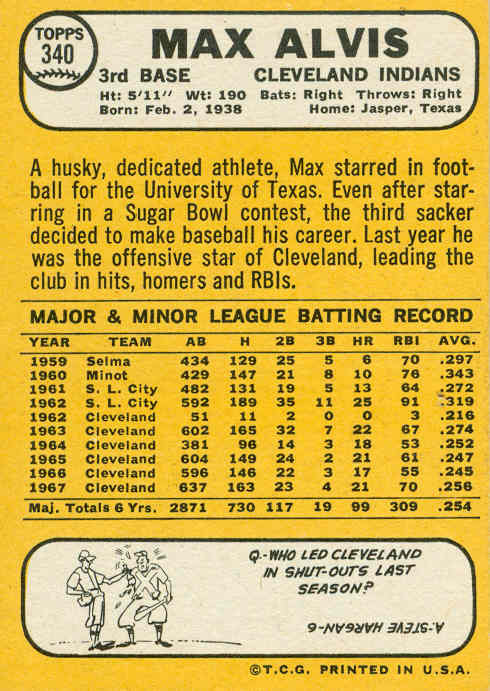 Max only started 51 games in 1969 (mostly in May and June), as the team used Klimchock and several others to fill in. Three days before the 1970 season, Alvis and outfielder Russ Snyder were traded to the Brewers for 2nd baseman Frank Coggins and outfielder Roy Foster. Alvis started 16 of the first 18 games at the hot corner, but was then replaced by Tommy Harper and only saw spot duty for the rest of the season. He was released after the season.